Celcom Axiata Berhad has announced its intention to modernise messaging services on Android smartphones with Rich Communication Service (RCS). The Telco will use Google’s end-to-end Jibe platform to deploy RCS. 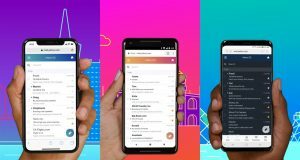 This new service will be available on devices using Android Messages as the default messaging application, running on Android KitKat 4.4 or higher. Celcom said that Android Messages is widely seen to be the future of messaging, replacing SMS texts and MMS with features such as group chat, high resolution photo sharing, and read receipts. In the future, Celcom will use RCS to deliver rich interactive services for its customers. 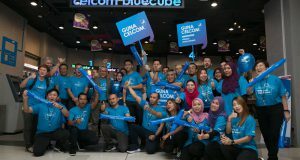 Michael Kuehner, Chief Executive Officer of Celcom Axiata Berhad said Celcom customers would greatly benefit from the launch of RCS as it delivers a new messaging service that would further enhance our customers’ digital experience. 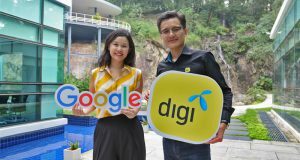 “Celcom is honoured to be the first network provider in Malaysia to work with Google on RCS. We look forward to innovating with Google to deliver new services on the messaging platform in the near future,” he said. RCS has been around since 2007. On February 2016, Google announced its RCS initiative, and some 50 international telcos such as Sprint, Rogers, Orange, Deutsche Telekom and Globe Telecom and more, have joined in this initiative and are committed to launching the RCS messaging, powered by the Jibe RCS cloud from Google, which also supports the universal RCS profile. Google bought Jibe in 2015. More than 8 trillion SMS messages are sent every year. Services offered by RCS are similar to apps like WhatsApp, WeChat, Telegram, Vibe and others. Google Android Messages can be downloaded from the Play Store.